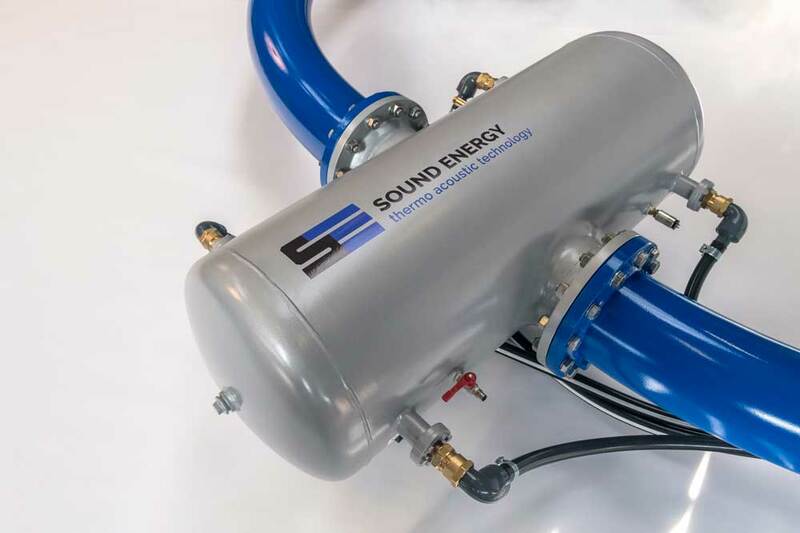 The THEAC-25, developed by SoundEnergy will function as a central cooling unit in your climate control installation concept. Its core function is converting heat into cold by using thermo acoustic technology. 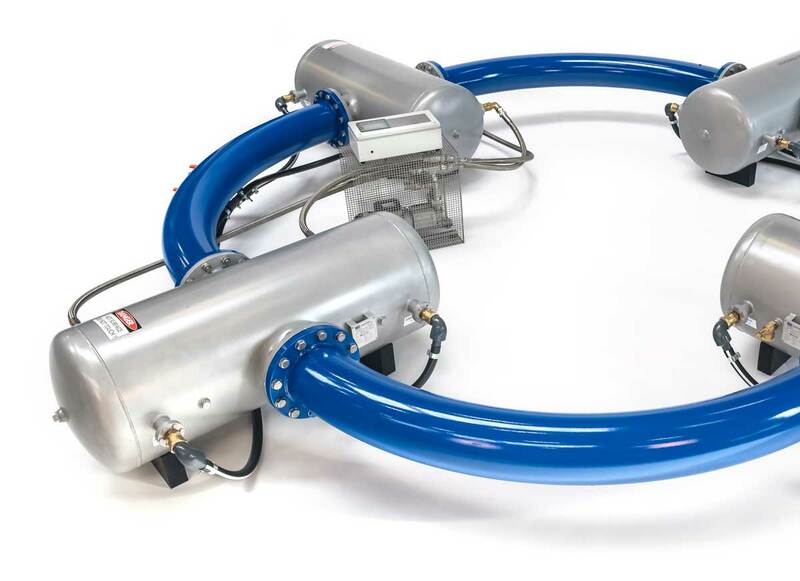 Feeding heat input into one side of the THEAC-25 results into 25 kW cold output at the other side, enabling the production of cold air or cold water. The cold output of the THEAC-25 can reach temperatures as low as -25°C. Traditional air conditioning systems use chemical fluids that are highly damaging to the environment. The THEAC-25 is built with sophisticated technology and is not using any chemicals. The working gas in the THEAC-25 is Argon which is easily available: about 0.94% of our atmosphere consists of Argon. And more important: Argon has zero global warming potential (GWP=0). The THEAC-25 is a highly competitive technology. Compared to traditional solutions like air-conditioning and refrigeration, the yearly costs and the total costs of ownership are significantly lower. 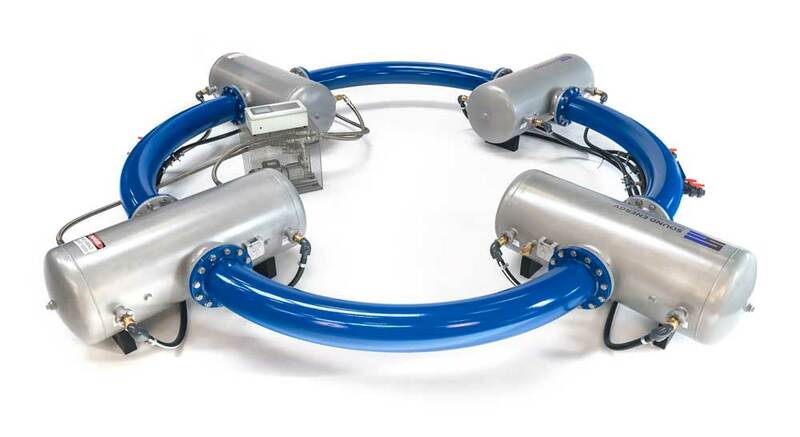 Since the THEAC-25 in an integrated system for both cooling and heating, the financial advantages can be even higher because the system’s heating capacity enables cutting out gas consumption. THEAC-25 utilizes waste heat from your plant or production line. But it can also use heat generated from your VTC-panels. Depending on your geographical location, your VTC-panels as heat source can also be used during autumn and winter to feed the heating system. The hot water from the VTC-panels still can reach temperatures over 40°C and this heat can be fed directly into the heating system of the building. The result is full use of the gained heat throughout the year. The output of the THEAC-25 can reach temparatures below -25ºC. The THEAC-25 operates without any mechanical moving parts, precious metals or materials. The system is maintenance free, needs only a yearly inspection and has an estimated service life up to 30 years. The operating pressure inside the THEAC-25 is 12 bar. This is comparable to gas cylinders and LPG-tanks in cars. The construction of the THEAC-25 complies to the Pressure Equipment Directive (PED) and is Lloyd’s certified. The big advantage of your installation concept based on the THEAC-25, is that there is one, integrated system for heating and cooling. Contributing to your heating system can be seen as a secondary function of the THEAC-25 concept, because the impact in reducing gas consumption can be significant. In many cases, by using additional storage buffers, the system can supply enough energy to take your building completely off the gas grid and create a situation of 100% zero CO2 emission climate control. Get in contact and find out what your possibilities are! To help you step into the next generation of cooling we have a plan suitable for every situation. Tell us the nature of your (waste) heat so you can make YOUR next step.